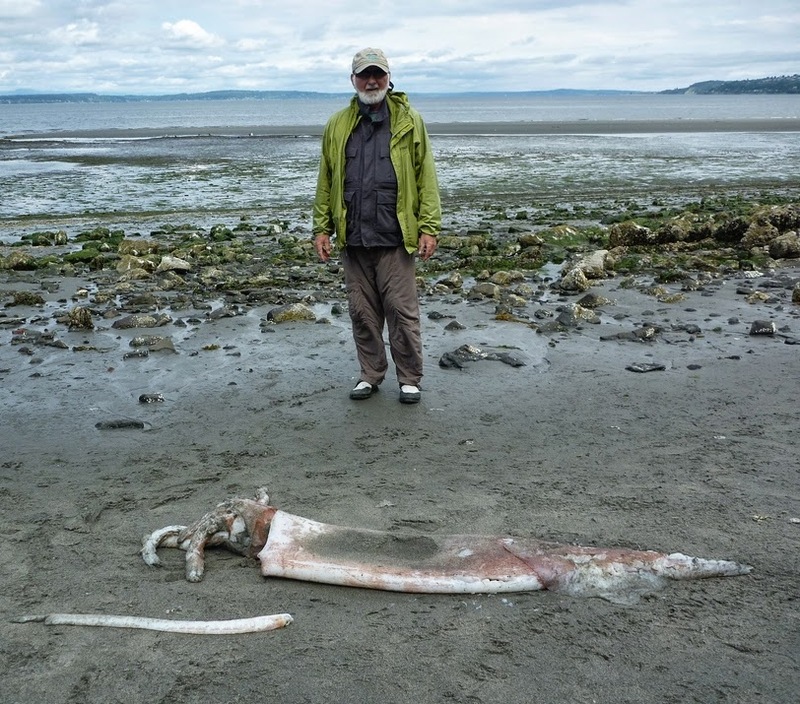 A seven foot Clubhook Squid (Onykia robusta) washed up on Alki Beach on 6-12-14. The Clubhook Squid is one of the largest in the Pacific and commonly reaches mantle lengths of 150cm. It is distinguished by two rows of hooks on the clubs at the end of the long capture tentacles. Sadly the clubs at the end of 2 long tentacles were missing. 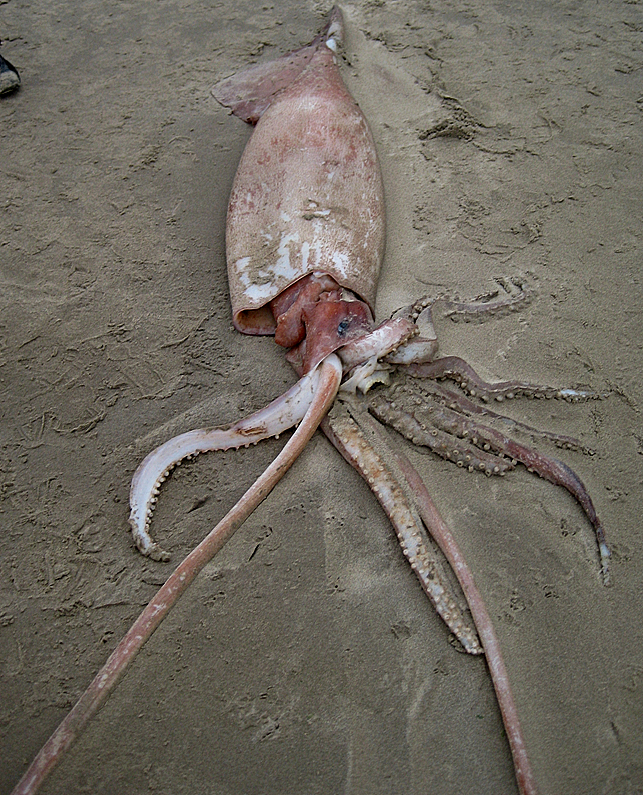 The other eight tentacles suckers have a lining that is a smooth circle with no "teeth" as are found on the Humboldt Squid. This species washes ashore only occasionally in Puget Sound. Very little is know of its life history. Hey Buzz! Thanks for reporting this! As you may know, the Seattle Aquarium came to retrieve the animal for use in a future public dissection. Just as a point of clarification, the post stated that this species commonly reaches 150cm. I think that is a typo, as this specimen is over 7 feet, and the species is known to get up to as 4m total length. Very cool animals! The 150cm is the mantle length....with all the arms, tentacles stretched out it would be much longer. I have added the word mantle in the length statement. We could not get a full length as the long club ended tentacles were missing.